This is a continuing education program accredited by Yoga Alliance, that is designed to support you as a Forrest Yoga Teacher and further your skills in all aspects of Forrest Yoga including: teaching, hands-on assisting, “seeing,” sequencing, working one-on-one, working with groups, & self-promotion. Each day of the workshop begins with Yoga Intensive, Chanting, and Calling in of the Directions. And in each workshop you will have writing processes, hands-on assisting clinics, Forrest Yoga Sequencing & “Seeing” training, and teaching with feedback. YogaBodyworker graduates are equipped with educational and practical tools that enhance movement within themselves and their clients. 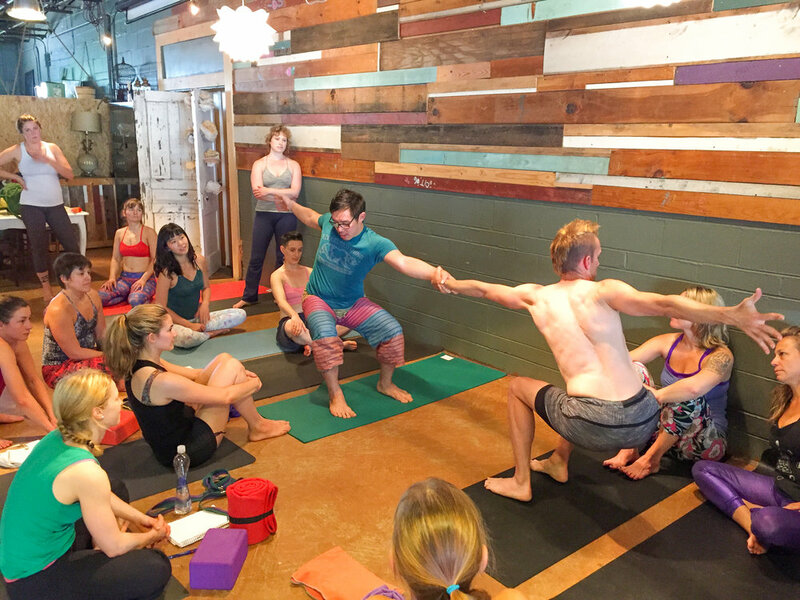 By exploring your own asymmetries, injuries, and anatomy through 10 Days of Yoga, Bodywork, & Ceremony, it becomes easier to know how to prescribe Yoga postures and appropriate bodywork to speed up recovery and improve intrinsic mobility patterns. This training is for people who want to learn how to heal themselves so they can learn how to help heal others. This training will affect you in a Physical, Emotional, Mental, and Spiritual way. It is designed to honor the healing and training the parts of ourselves in need. These online guided tutorials are for people who want to learn how to help to heal themselves, to alleviate pain, to create space in their tight spots, and to prevent pain from recurring. These Pain Relief and Prevention online tutorials are designed to educate while giving you the practical tools that enhance movement within yourself. Through 10 detailed guided videos you will learn specific yoga postures, and techniques that will speed up recovery and improve mobility. With the continuation of the pain prevention videos, you will learn ways to keep the pain away and begin feeling a level of joy and comfort you didn’t even realize was possible. Learn how to heal yourself so you can learn how to help heal others. Yoga Bodyworker graduates are equipped with educational and practical tools that enhance movement within themselves and their clients. By exploring your own asymmetries, injuries, and anatomy through 10 Days of Yoga, Bodywork, & Ceremony, it becomes easier to know how to prescribe yoga postures and appropriate bodywork to speed up recovery and improve intrinsic mobility patterns. Our famous Bodywork Caress is the foundation of this work. Every day is an opportunity to apply touch in a highly skilled way. You will learn to recognize in a person’s body where forces are pulling tissues too short creating compression or where tissues are over-stretched, tight, and weak. My passion is to help get people out of pain and to feel more at-home in their body. I use Myo-Fascial Release and Structural Deep-Tissue Massage to open the layers of restriction in areas that are pulled tight. This can be due to old injuries and scar tissue, adhesions, or a lifetime of compensating forces being slightly off-balanced. This is a continuing education program accredited by Yoga Alliance, that is designed to support you as a Forrest Yoga Teacher and further your skills in all aspects of Forrest Yoga including: teaching, hands-on assisting, “seeing”, sequencing. working one-on-one, working with groups, & self-promotion. Each day of the Workshops begins with Yoga Intensive, Chanting, and Calling in of the Directions. And in each workshop you will have writing processes, hands-on assisting clinics, Forrest Yoga Sequencing & “Seeing” training, and teaching with feedback. Every body is different and every body will reflect yoga differently. My goal is not to create a pose standard that students are trying to achieve but rather develop a skillfulness that helps guide students into their version of each pose. To expect each body to create or “get-to” an ideal standard, puts a limitation on our focus and does not allow us to expand our feeling awareness of who and how we are undefined by our expectations to be different or push further. Yoga teaches us how to grow our feeling awareness within and through out our body. 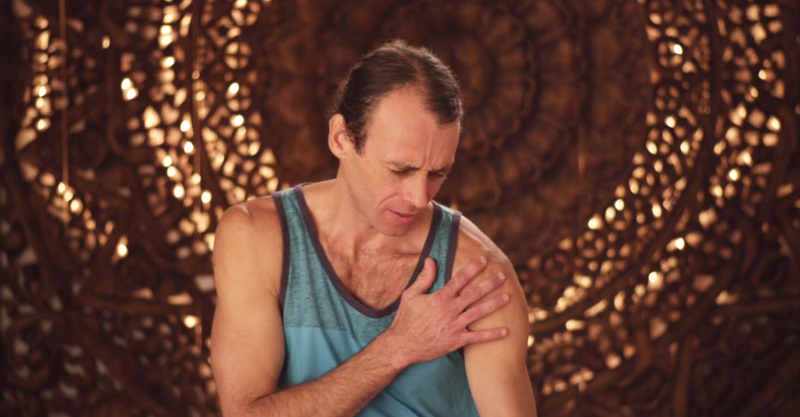 Brian travels all around the world teaching, healing, and creating a team of healers. Through Yoga Bodyworkers and Forrest Yoga we are able to connect with our body and connect with others to relieve from stress, pain, and make adjustments to step into excitement and joy. 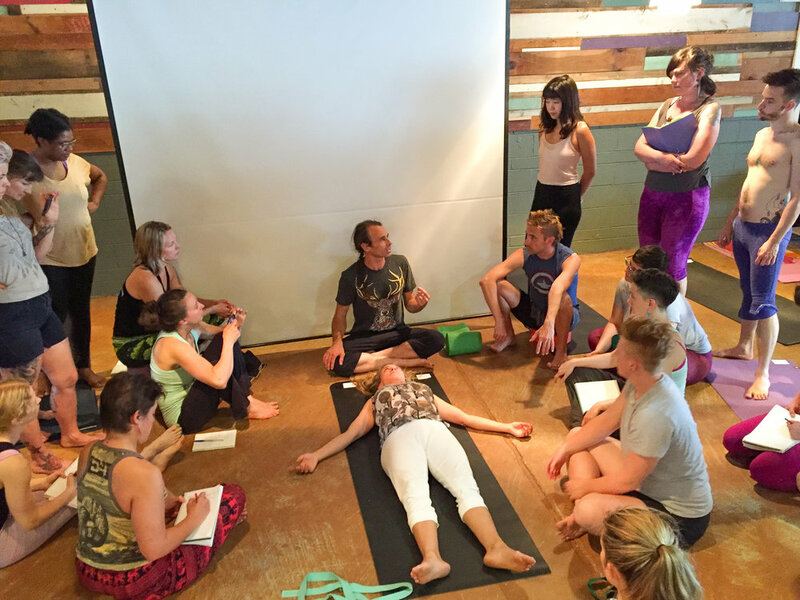 Sign up for more information about Brian's workshops, yoga festivals, and exclusive Bodywork Yoga online tutorials! We respect your privacy. Hope to meet you at one of our workshops! Thank you so much for your interest in following Brian and the Bodywork Yoga journey! 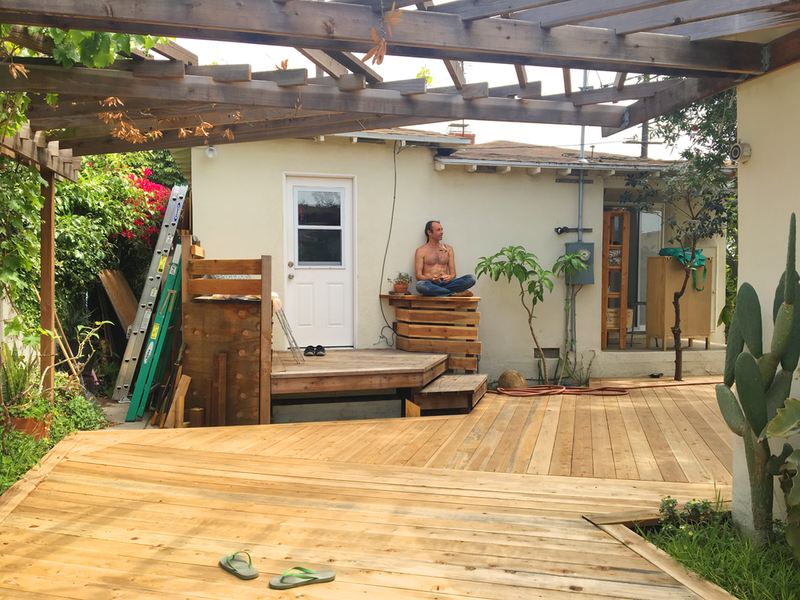 There are plenty of workshops, yoga retreats, and ways to connect all over the world and through out the year! Reach out directly if you ever have questions or want to more info about any of Brian's upcoming events!